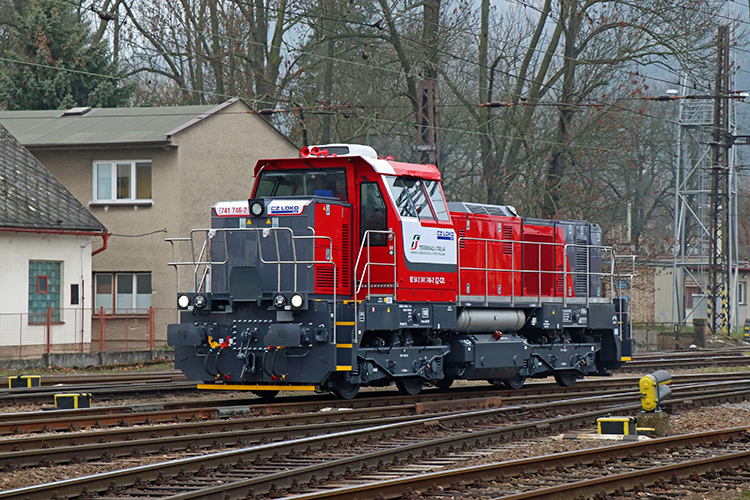 CZ LOKO 741 746-2 during dynamic testing in Česká Třebová on 22 November 2018. Picture by Dalibor Palko. Class 741.7 locomotive 741 746-2 has showed its face outside CZ LOKO's Česká Třebová works. The loco is the fifth of its type for Italy's Terminali Italia, after locos 741 731-4, 737-1, 738-9 and 745-4.